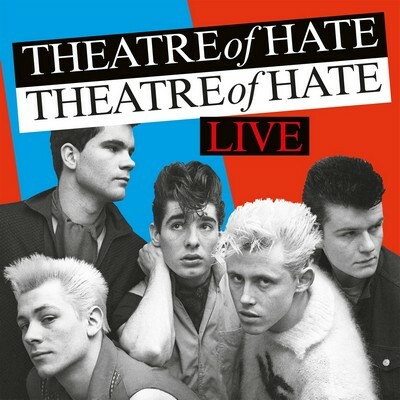 Formed from the ashes of punk band The Pack, THEATRE OF HATE blazed their own trail through the post-punk netherworld of the early 1980s with a string of indie hits and an unparalleled reputation as a formidable live act. The band were fronted by blonde-quiffed singer/guitarist Kirk Brandon, joined by bassist Stan Stammers, guitarist Steve Guthrie, saxophonist John ‘Boy’ Lennard and drummer Luke Rendle. Unavailable for many years on CD, the two HE WHO DARES WINS albums from 1981 have now finally been treated to a deluxe edition. 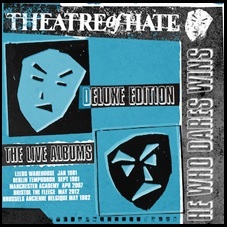 Alongside the original albums, which have been remastered, are the two reunion shows issued under the He Who Dares Wins banner and a bonus disc featuring a previously unissued live concert from the Westworld tour.